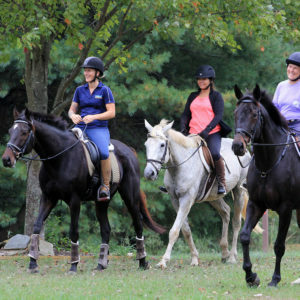 event furthers ongoing efforts towards supporting construction of the equestrian facilities. the park’s public equestrian facilities. is expected on October 16, but just in case, the rain date is Sunday, October 23.
fencing off the road. The Registration Table will be in this area. show their Coggins report upon arrival and carry it during the ride. P.O. Box 403, Lovettsville, VA 20180.